This unique paper was produced by the Center for the Study of Intelligence. 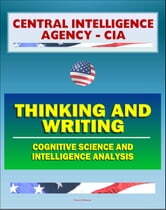 CSI was founded in 1974 in response to Director of Central Intelligence James Schlesinger's desire to create within CIA an organization that could "think through the functions of intelligence and bring the best intellects available to bear on intelligence problems." The Center, comprising professional historians and experienced practitioners, attempts to document lessons from past operations, explore the needs and expectations of intelligence consumers, and stimulate serious debate on current and future intelligence challenges. To support these activities, CSI publishes Studies in Intelligence, as well as books and monographs addressing historical, operational, doctrinal, and theoretical aspects of the intelligence profession. It also administers the CIA Museum and maintains the Agency's Historical Intelligence Collection. The monograph has two parts: first, a survey of cognitive science as we understood it in 1984; second, suggestions for changing the way we do intelligence analysis in light of what the discipline was telling us. The conscious mind cannot track more than about seven cognitive elements at the same time (cognitive-science jargon often refers to these elements as chunks); and to cope with this constraint, our brains constantly manipulate those elements, always at top speed and usually outside our conscious awareness. • The importance of bringing to light what might be called, with a bow to former Defense Secretary Rumsfeld, the "unknown knowns"—the factors in our analysis that we are unaware of. • The conservative bias of our default analytic approach: we tend to work from what we already "know"—even though, in fact, a host of "unknown knowns" affect the "known." • The solitary nature of the writing process and the difference between the way intelligence analysts typically do their work (linear, cerebral, mostly written) and the way policymakers do theirs (nonlinear, transactional, mostly oral and interactive). • The importance of constructing our prose with the reader in mind; the monograph, summarizing the work of cognitive-science investigators, states, "A striking aspect of the approach of skilled writers is the frequency with which they think about how they are affecting the reader." • The importance of the work done at the beginning of an analytic project—what the monograph calls the "conceptual front end." • The time needed to gain real skill at a craft; the monograph cites data suggesting that people are unlikely to get good at what they do for at least a decade. • The use that can be made of information technology to improve the quality of analysis. The Center, comprising professional historians and experienced practitioners, attempts to document lessons from past operations, explore the needs and expectations of intelligence consumers, and stimulate serious debate on current and future intelligence challenges. 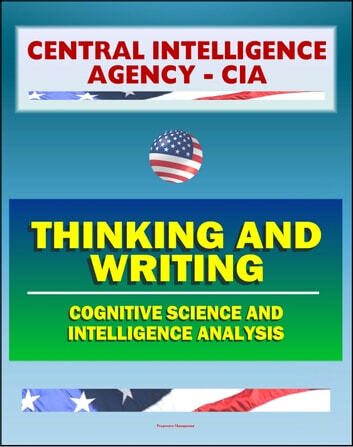 To support these activities, CSI publishes Studies in Intelligence, as well as books and monographs addressing historical, operational, doctrinal, and theoretical aspects of the intelligence profession. It also administers the CIA Museum and maintains the Agency's Historical Intelligence Collection. This is a privately authored news service and educational publication of Progressive Management. Our publications synthesize official government information with original material - they are not produced by the federal government. They are designed to provide a convenient user-friendly reference work to uniformly present authoritative knowledge that can be rapidly read, reviewed or searched. Vast archives of important data that might otherwise remain inaccessible are available for instant review no matter where you are.